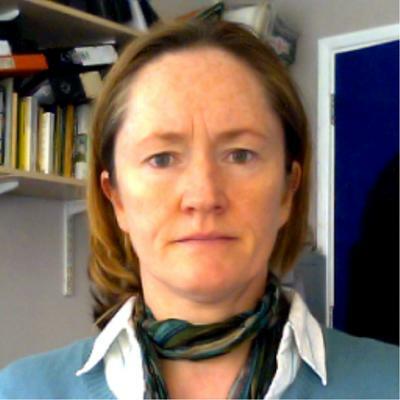 Dr Emma Tompkins is Professor within Geography and Environmental Science at the University of Southampton. Emma is a Professor of Geography, Environment and Development. She has worked on climate change adaptation since 2001 specifically barriers and limits to institutional adaptation, public-private partnerships for adaptation, and drivers of individual action and national policy on adaptation. She has published numerous papers, articles and policy briefs on environmental management, adaptation to climate change, and social and ecological resilience as well as handbooks on surviving climate change in small islands and participatory coastal zone management. She has a PhD Environmental Science (UEA), MSc Environmental and Resource Economics (UCL) and BA Economics (Leicester). DECCMA is a 4 year, IDRC-funded, CAD$13.5million programme of applied research on the adaptation options, limits and potential in deltaic environments to current weather variability and extremes, as well as climate change. The project runs from February 2014 to September 2018. Research focusses on four deltas – the Ganges-Brahmaputra-Meghna (Bangladesh and India); the Nile (Egypt); the Volta (Ghana); and the Mahanadi (India). Large tracts of land at low elevation make deltas vulnerable to sea-level rise, but they also experience climate impacts such as droughts and fluvial flooding. Deltas have some of the highest population densities in the world with 500 million, often poor, residents. The adaptive strategies available to delta residents (e.g., disaster risk reduction by building shelters, or land use management) may exacerbate gender inequalities, and may not be adequate to cope with pervasive, systemic, or surprise changes associated with climate change. Hence, large movements of deltaic people are often projected under climate change. Emma Tompkins is responsible for the Work Package on Adaptation. Completed research projects since 2011. This Leverhulme-funded project investigated the drivers of resilience of crop lands to tropical cyclones. We focus on a case study of Kendrapara, Odisha in East India. PREFUS focusses specifically on identifying where (and why) rice croplands withstand or recover rapidly from tropical cyclone impacts such that there is little or no harm to livelihoods, food security and economic development in the region. This project explores the synergies and trade-offs between adaptation, mitigation and development, looking at different development pathways and policy mixes in coastal areas. This demand-led project aims to support policy makers in making hard choices about resource allocation to achieve climate compatible development. The project involves an assessment of the co-benefits of adaptation and mitigation activities in the coastal zone. It focuses on case studies in four areas off Africa, Asia, and Latin America. Biggs, E. M., Tompkins, E. L., Allen, J., Moon, C., & Allen, R. (Accepted/In press). Agricultural adaptation to climate change: observations from the Mid-Hills of Nepal. Climate and Development. Lemos, MC., Boyd, E., Tompkins, E., Osbahr, H., & Liverman, D. (2007). Developing adaptation and adapting development. Ecology and Society, 12(2). Adger, W. N., Brown, K., & Tompkins, E. (2005). The political economy of cross-scale networks in resource co-management. Ecology and Society, 10(2), 1-9. Tompkins, E. L., & Adger, W. N. (2004). Does adaptive management of natural resources enhance resilience to climate change? Ecology and Society, 9(2), 1-14. Tompkins, E. L., & Adger, W. N. (2004). Responding to climate change: implications for development. Insights (Brighton), 53, 3-4. Boyd, E., & Tompkins, E. (2010). Climate change. A beginner's guide. London, GB: Oneworld. Brown, K., Tompkins, E., & Adger, W. N. (2002). Making waves. Integrating coastal conservation and development. London, GB: Earthscan Publications. Duncan, J. M. A., Dash, J., & Tompkins, E. L. (2014). Mangrove forests enhance rice cropland resilience to tropical cyclones: evidence from the Bhitarkanika Conservation Area. In R. Murti, & C. Buyck (Eds. ), Safe Havens: Protected Areas for Disaster Risk Reduction and Climate Change Adaptation (pp. 49-55). Gland, CH: International Union for Conservation of Nature. Nurse, L. A., McLean, R. F., Agard, J., Briguglio, L. P., Duvat-Magnan, V., Pelesikoti, N., ... Webb, A. (2014). Small islands. In Climate Change 2014: Impacts, Adaptation, and Vulnerability. Part B: Regional Aspects. Contribution of Working Group II to the Fifth Assessment Report of the Intergovernmental Panel on Climate Change (pp. 1613-1654). New York, US: Cambridge University Press. Tompkins, E., & Hurlston-McKenzie, L-A. (2011). Public-private partnerships in the provision of environmental governance: a case of disaster management. In E. Boyd, & C. Folke (Eds. ), Adapting Institutions: Governance, Complexity and Social-Ecological Resilience (pp. 171-189). Cambridge, GB: Cambridge University Press. Adger, W. N., Brown, K., Tompkins, E., Bacon, P., Shim, D., & Kathy, Y. (2000). Evaluating trade-offs between uses of marine protected areas in the Caribbean. In N. Lee, & C. Kirkpatrick (Eds. ), Integrated Appraisal and Sustainable Development in a Developing World (pp. 159-179). London, GB: Edward Elgar. Tompkins, E. L., Brown, K., & Few, R. (2005). Scenario-based stakeholder engagement: a framework for incorporating climate change into coastal decision making. Paper presented at LOICZ Coastal Session at the Open Meeting of the Human Dimensions of Global Environmental Change Research Community, Germany. Boyd, E., Tompkins, E. L., Adger, W. N., Arnell, N. W., Nicholson-Cole, S., & Weatherhead, K. (2004). Adaptation in practice, lessons from the UK. Paper presented at Development and Adaptation Days, 10th Annual Conference of the Parties to UNFCCC, Argentina. Adger, W. N., & Tompkins, E. L. (2004). Adaptation research challenges. Paper presented at European Adaptation Research Workshop, CICERO, Norway. Tompkins, E. L. (2004). Adapting to climate change, lessons from Tyndall Centre Adaptation Research. Paper presented at Development and Adaptation Days, 10th Annual Conference of the Parties to UNFCCC, Argentina. Arnell, N. W., Adger, W. N., & Tompkins, E. L. (2004). Exploring vulnerability to rapid climate change in Europe. Paper presented at ESRC Workshop: Environment and Human Behaviour: What has been Learned?, United Kingdom. Tompkins, E. L., Adger, W. N., & Arnell, N. W. (2004). Planning for rapid climate change. Paper presented at Challenging Boundaries: Economics, Ecology and Governance. 8th Biennial Conference of the International Society for Ecological Economics, Canada. Tompkins, E. L., Dessai, S., & Adger, W. N. (2003). Institutional dimensions of international climate change policy evolution. Paper presented at Anthropogenic Climate Change - Risks, Perceptions and Policy Responses: World Risk Congress, Belgium. Tompkins, E. L., & Adger, W. N. (2003). Re-thinking response capacity to enhance climate change policy development. Paper presented at Mitigation and Adaptation in Climate Change, Germany. Tompkins, E. L., & Adger, W. N. (2002). Building resilience to climate change through adaptive management of natural resources. Paper presented at UNDP Expert Group Meeting: Integrating Disaster Reduction and Adaptation to Climate Change, Cuba. Tompkins, E. L., Brown, K., Adger, W. N., Bacon, P., Young, K., & Shim, D. (2002). Trade off analysis for participatory coral reef management: lessons learned from Buccoo Reef Marine Park, Tobago. In M. K. Kasim Moosa, S. Soemodihardjo, A. Nontji, A. Soegiarto, K. Romimohtarto, Sukarno, & Suharsono (Eds. ), Proceedings of the Ninth International Coral Reef Symposium (pp. 765-770). Indonesian Institute of Sciences. Tompkins, E. L., Adger, W. N., & Brown, K. (2000). Hierarchy of institutional pre-conditions for participatory natural resource management. Paper presented at Development Studies Association. Environmental Resources and Sustainable Development Study Group Conference, Environmental Resources: Conflict, Co-operation and Governance, United Kingdom. Adger, W. N., Brown, K., Tompkins, E. L., Bacon, P., Shim, D., & Young, K. (1999). Engaging with stakeholders and trading off their preferences: marine protected areas in the Caribbean. Paper presented at Open Meeting of the Human Dimensions of Global Environmental Change Research Community, Japan. Adger, W. N., Brown, K., Tompkins, E. L., Bacon, P., Shim, D., & Young, K. (1998). Evaluating options for sustainable coastal resource management: a multi-stakeholder approach. Paper presented at Beyond Growth: Policies and Institutions for Sustainability. 5th Biennial Meeting of the International Society for Ecological Economics, Chile. Adger, W. N., Brown, K., Tompkins, E. L., Bacon, P., Shim, D., & Young, K. (1998). Evaluating trade-offs between uses of marine protected areas in the Caribbean. Paper presented at Impact Assessment in the Development Process: Advances in Integrating Environmental Assessment with Economic and Social Appraisal, United Kingdom. Waite, R., Burke, L., Gray, E., van Beukering, P., Brander, L., Mackenzie, E., ... Tompkins, E. L. (2014). Coastal capital: ecosystem valuation for decision making in the Caribbean. World Resources Institute. van Beukering, P., Brander, L., Tompkins, E., & Mackenzie, E. (2007). Valuing the Environment in Small Islands: An Environmental Economics Toolkit. Peterborough, GB: Joint Nature Conservation Committee. Tompkins, E. L., Boyd, E., Nicholson-Cole, S. A., Weatherhead, K. (Ed. ), Arnell, N. W., & Adger, W. N. (2005). Linking adaptation research and practice. Norwich, GB: University of East Anglia. Tompkins, E. L., Nicholson-Cole, S., Hurlston, L-A., Boyd, E., Hodge, G., Clarke, J., ... Varlack, L. (2005). Surviving climate change in small islands: a guidebook. Norwich, GB: Tyndall Centre for Climate Change Research. Arnell, N., Tompkins, E. L., Adger, N., & Delaney, K. (2005). Vulnerability to abrupt climate change in Europe. (Tyndall Centre Technical Report; No. 34). Tyndall Centre for Climate Change Research. Brown, K., Adger, W. N., & Tompkins, E. (2001). Building consensus among stakeholders for management of natural resources at the land water interface. (Final report to Natural Resources Systems Programme Department for International Development, Overseas Development Group, University of East Anglia). Norwich, GB: Department for International Development. Brown, K., Adger, W. N., Tompkins, E. L., Bacon, P., Shim, D., & Young, K, K. (1999). Evaluating trade-offs between users of marine protected areas in the Caribbean. (Final report to Natural Resources Systems Programme Department for International Development. Overseas Development Group, University of East Anglia). Norwich, GB: Department for International Development. Porter, J. J., Dessai, S., & Tompkins, E. L. (2014). What do we know about UK household adaptation to climate change? A systematic review. (Sustainability Research Institute Paper; No. 70). Leeds, GB: SRI, University of Leeds. Tompkins, E. L., Mensah, A., King, L., Long, T. K., Lawson, E. T., Hutton, C. W., ... Bood, N. (2013). An investigation of the evidence of benefits from climate compatible development. (Sustainability Research Institute Paper; No. 44). London, GB: Sustainability Research Institute. Tompkins, E. L., Fraser, E., Stringer, L., Beharry, N., Quinn, C., Termansen, M., ... Forster, P. (2008). Response from the University of Leeds, Sustainability Research Institute and Institute for Climate and Atmospheric Science to the Royal Commission on Environmental Pollution study on adapting the UK to climate change. Leeds, GB: University of Leeds. Tompkins, E. L. (2003). Development Pressures and Management Considerations in Small Caribbean Islands' Coastal Zones. (Environmental Change and Management; No. ECM 03-08). Norwich, GB: CSERGE. Tompkins, E. (2003). Using Stakeholders Preferences in Multi-attribute Decision Making: Elicitation and Aggregation Issue. (Environmental Change and Management; No. ECM 01-13). Norwich, GB: CSERGE.